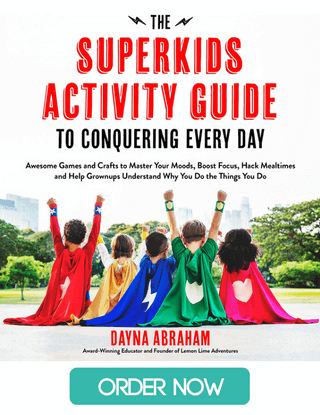 My kids need sensory input and I can’t decide what to suggest for them to do! I know just how important sensory breaks both at home and in the classroom, but I somehow seem to forget what to do in the moment. 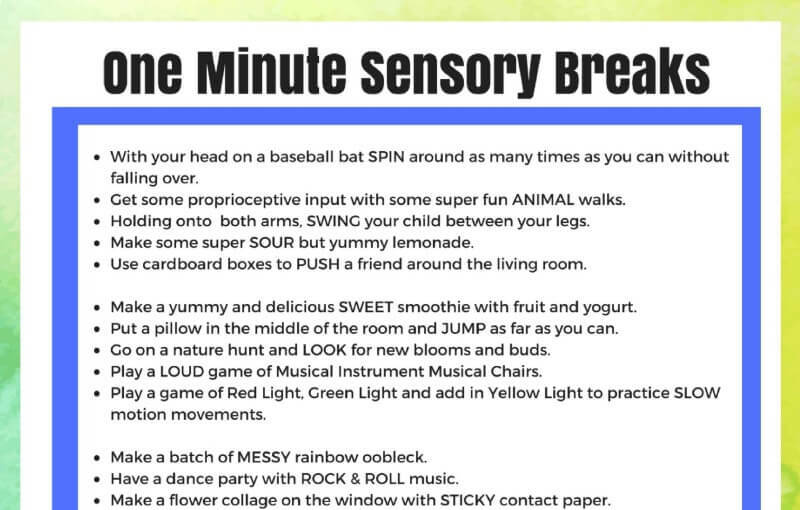 Now, with these super simple one-minute sensory break ideas, I shouldn’t have any problems getting sensory input into every day. 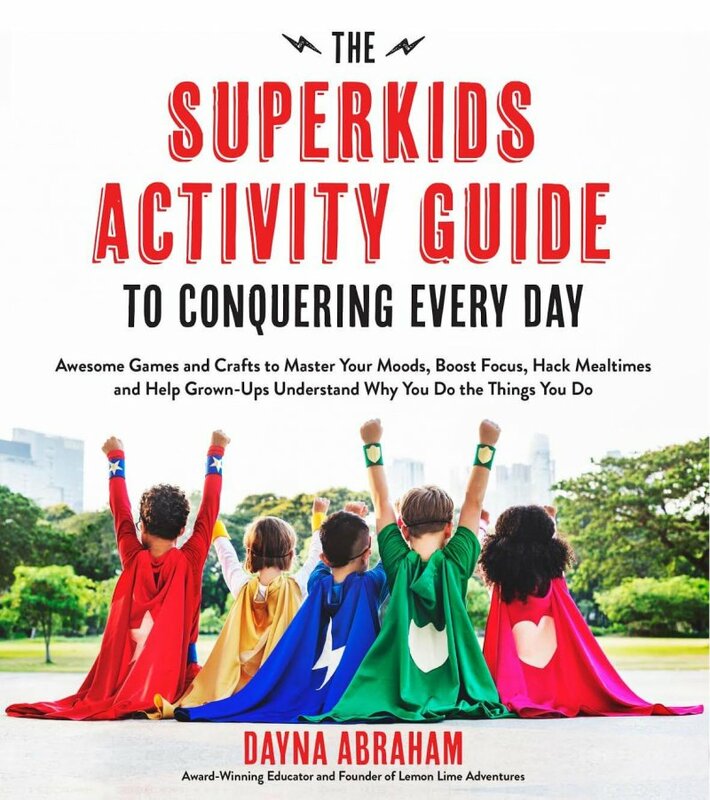 Thanks to my good friends at Inspired Treehouse (co-authors of our book Sensory Processing 101), I was able to come up with some super fun and super simple sensory break ideas on the fly. I’ve listed them below to make them easier for you to try as well! 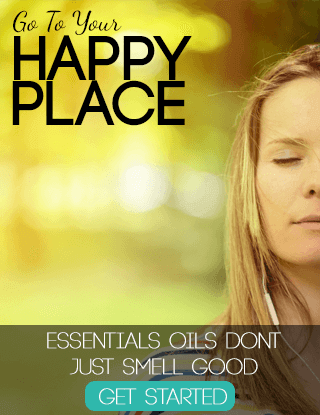 Ready for some awesome sensory break ideas? Let’s get started! With your head on a baseball bat SPIN around as many times as you can without falling over. 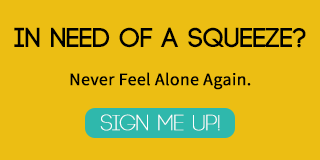 Get some proprioceptive input with some super fun ANIMAL walks. 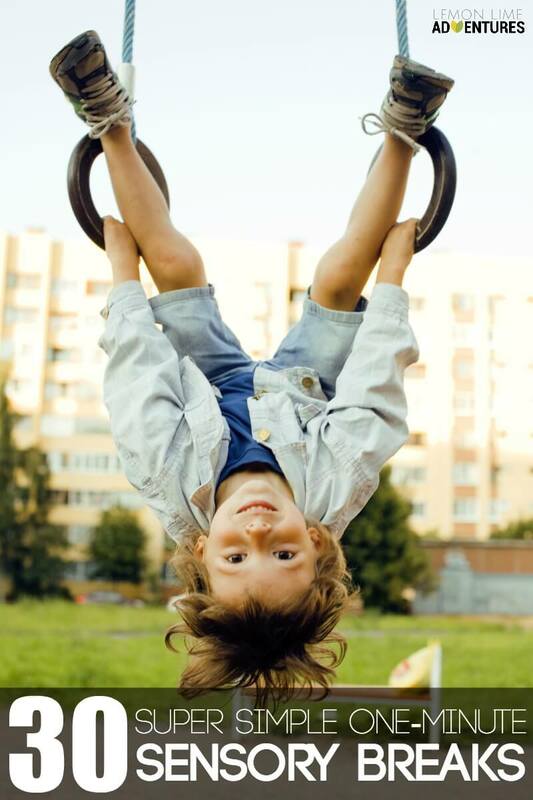 Holding onto both arms, SWING your child between your legs. Make some super SOUR but yummy lemonade. Use cardboard boxes to PUSH a friend around the living room. Make a yummy and delicious SWEET smoothie with fruit and yogurt. Put a pillow in the middle of the room and JUMP as far as you can. Go on a nature hunt and LOOK for new blooms and buds. Play a LOUD game of Musical Instrument Musical Chairs. Play a game of Red Light, Green Light and add in Yellow Light to practice SLOW motion movements. Make a batch of MESSY rainbow oobleck. Have a dance party with ROCK & ROLL music. Make a flower collage on the window with STICKY contact paper. Give your stuffed animals a huge BEAR HUG. Gather those stuffed animals in a duvet cover for a DIY CRASH pad. Time yourself. How FAST can you transfer all the rocks to the garden bed? Make ROUGH sandpaper letters and numbers. Grab a book and take a QUIET break in your calm down retreat. Use SOFT yarn to finger knit a necklace. Get UP CLOSE on something you find in your backyard and draw what you see. Gather some SCRATCHY bark from the trees and do crayon rubbings. Try a new food you are NOT-SO-SURE about. Make a CRUNCHY batch of homemade granola. Get your hands SLIMY with an awesome batch of Galaxy Slime. Dance with some SMOOTH scarves. Climb UP HIGH in a tree or your play set. CLIMB a rock wall as fast as you can. Play a SMELLY guessing game with cotton balls and scents. Turn UPSIDE DOWN on your couch and roll balls across the room to your friends. I have made a simple printable for you that has all of these sensory breaks in a simple and easy to display format. Place it on the fridge, in a frame or even in your child’s calm down spot so they remember them as well. Don’t get caught struggling to remember your options! 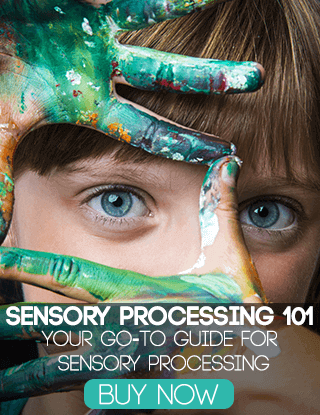 Want to learn more about sensory processing to support your child? 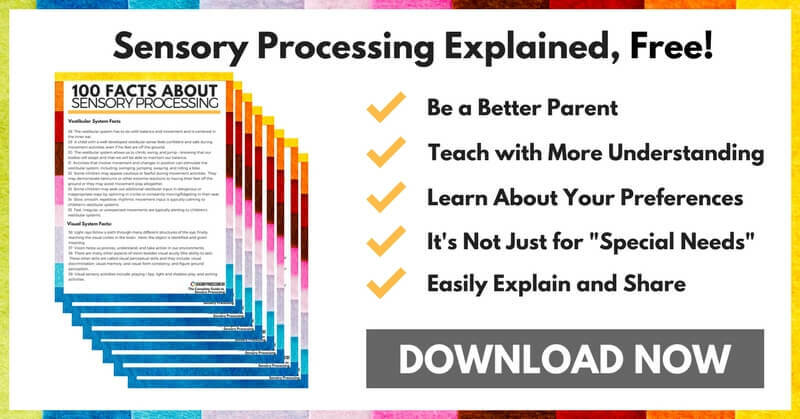 Looking for resources about sensory processing to share with the families in your therapy practice? This is the printable for you! Now, you can get your FREE printable sensory processing fact sheets with 100 facts everyone should know about sensory processing! 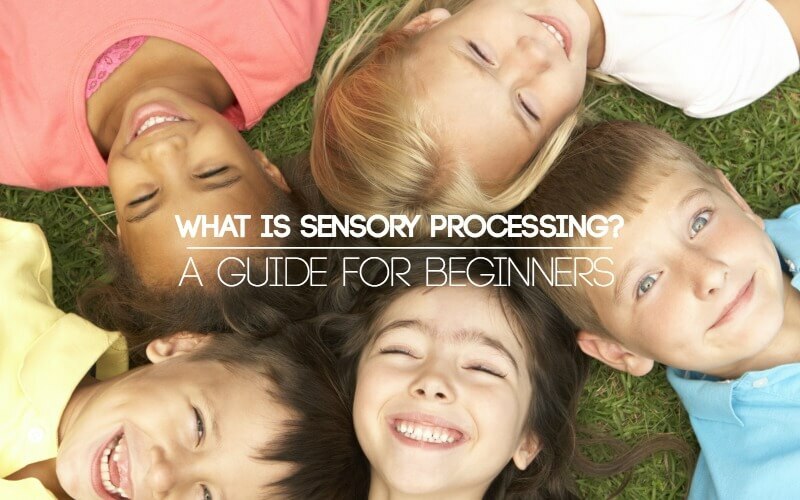 This simple, eight-page guide is a great way to get a better understanding of the sensory processing and the sensory systems and gives you a clear and easy way to share the information with others. 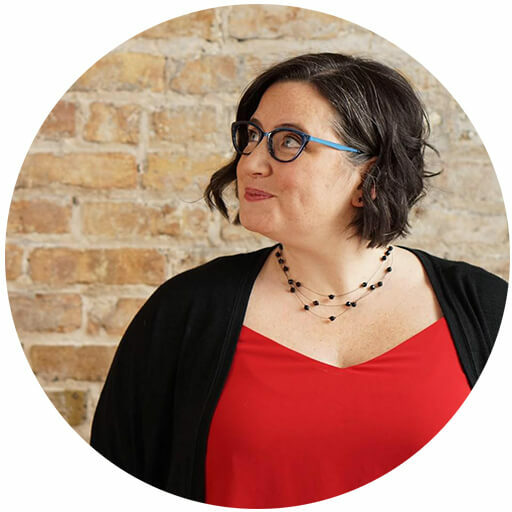 Want to learn more about sensory processing and get a look at what it looks like for a parent, an educator, and therapists? We’ve got you covered there too. 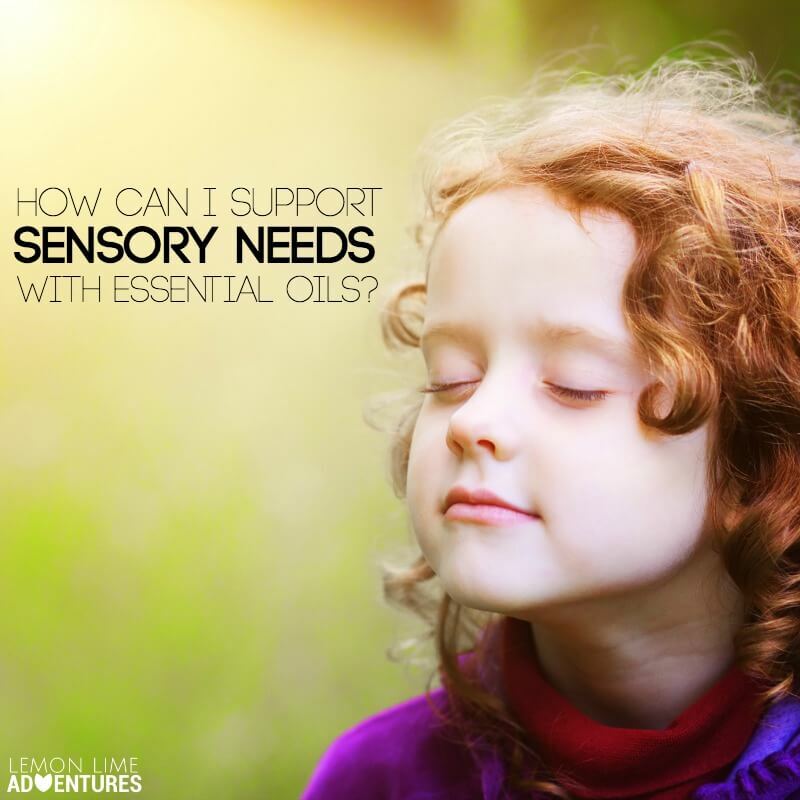 Click here to read about 5 Things OTs Want You To Know About Sensory Processing. Click here to read about What Sensory Processing Looks Like (from a parent and educator’s perspective).